The Reebok men's training lifting gloves feature a lightweight and minimalist design. The special padded and textured palm with good abrasion resistance protects your hands and enhances your grip allowing you to achieve more strength and efficiency during your weightlifting sessions. Thanks to the hook and loop closure, you get a secure fit. The gloves are breathable, flexible and improve your wearing comfort while the ring pulls help you take them off easily. for submitting product information about Reebok Mens Training Lifting Gloves We aim to answer all questions within 2-3 days. 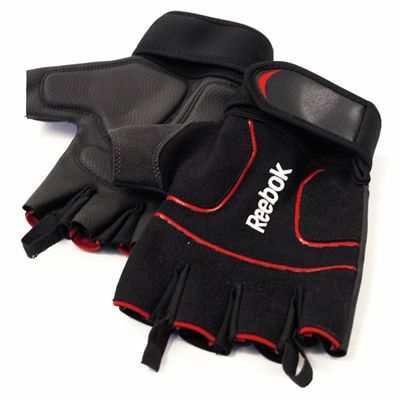 for submitting product information about Reebok Mens Training Lifting Gloves. We aim to answer all questions within 2-3 days. If you provided your name and email address, we will email you as soon as the answer is published. for submitting product review about Reebok Mens Training Lifting Gloves.